Established in 1997, Doña Paula, is considered an Estate winery since 100% of the grapes used to produce our wines come from our own vineyards. The thorough care for details in our vineyards guarantees a constant quality and a style of our own that shows the clearest expression of each terroir. Doña Paula currently has 703 hectares of vineyards located in the best areas of Mendoza. 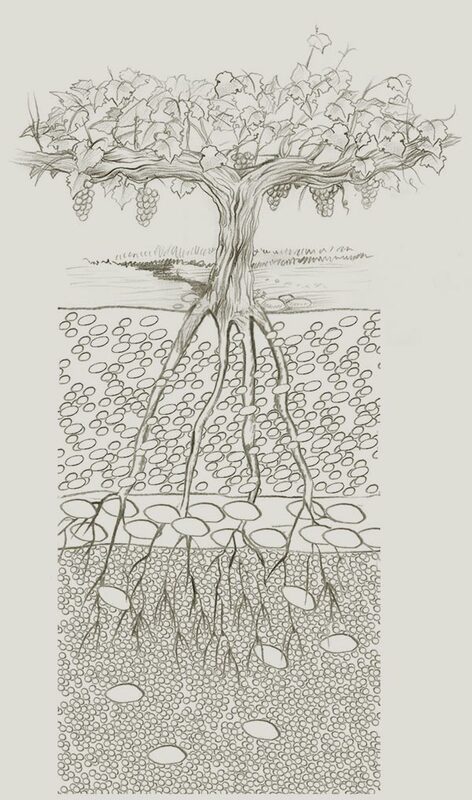 We looked, in each estate, for the ideal climate and soil combination for each variety. It is Doña Paula’s main vineyard. It has 435ha planted, 80 of which date from 1969. 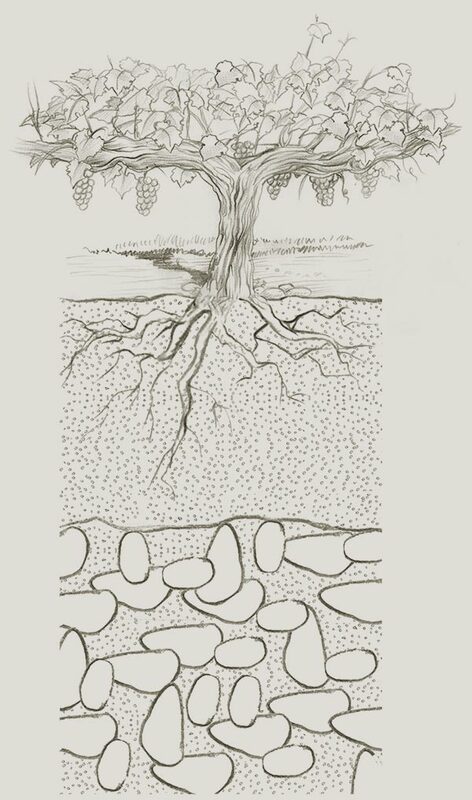 It has deep, clay loamy soils with rocks. The weather is mild with warm days and fresh nights. They are located at 1,050 meters above the sea level and the average rainfall per year is 200 mm. The Malbec from this region reveals rounded and sweet tannins, aromas of plums and dry herbs. The soils ranges from clay to sandy-loam formed on the riverbed with rubble and stones up to 4 m of depth. 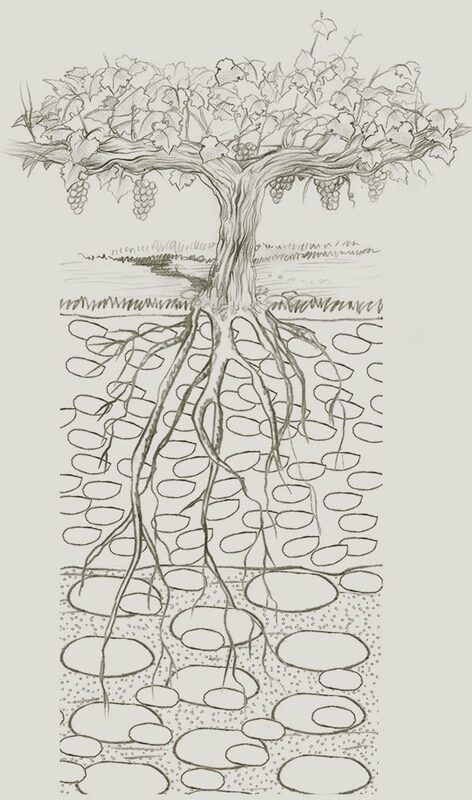 The horizon that has been explored by the roots is made of clay with small rubber and alluvial stones inlays. This last profile presents a deepness of up to 1,50 m.
Gualtallary is considered one of the best regions of Argentina for the production of high quality wines. This is the vineyard with the highest altitude of Doña Paula located at 1,350 meters above the sea level. The soil is very poor, rocky and mineral with a great content of caliche (calcium carbonate). The weather is very cool with warm days and cold nights. The average rainfall per year is of 280 mm. The Malbec of this area is of an intense color, firm tannins, blackberry aromas and good acidity. There are 10 cm of a vegetation layer formed by wind erosion. Up to 2, 20 m we find rocky soils with medium size alluvial stone, carbonate patinas and inlays of CaCO3 (caliche). This soil lays on big alluvial stones mixed with sand. 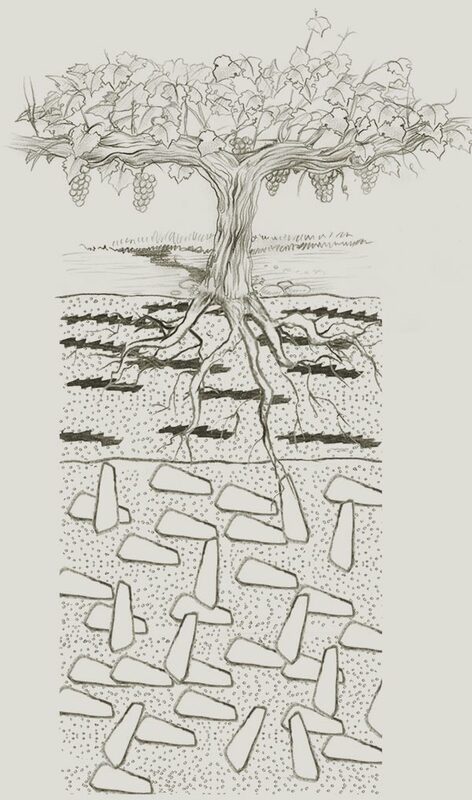 This vineyard has a very poor soil, clay loamy and very calcareous (with caliche or calcium carbonate). It is located at 1,150 meters above the sea level. The weather is very cool and the average rainfall is of 300 mm. The Malbec of this area is of an intense color, firm tannins and floral aromas such as violets. All this profile is very poor and of a great drainage, which allows for high density plantations. Clay loam stratum with CaCO3 inlays and colluvial stones up to 1,30 m.
This lays on a sandy soil with bigger colluvial stones. It is located at the foot of the Andes range at 1,000 meters above the sea level. It has deep sandy loam soils. The weather is mild, with warm days and cold nights. This terroir is ideal for the cultivation of Sauvignon Blanc, which develops a good acidity and freshness, with citric aromas of grapefruit and herbaceous ones such as rue. A soil that ranges from sandy to sandy loam up to 1,80 m laying on the riverbed. Made of alluvial rounded stones, gravel and sand. It has a very good drainage and very low fertility.